Cards are now in the air for a $100 Hold'em with a $5,000 Guarantee - Event 3 in the $100k Series. Start your day with 10,000 stacks and play 20-minute levels today. 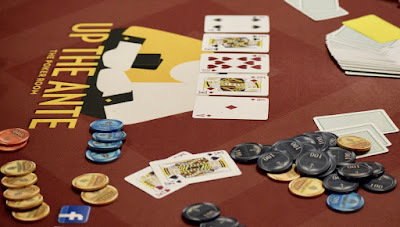 Registration and the unlimited re-entry period is available until MiguelTheTD puts cards in the air to start Level 7 at 1:15pm. There's $100 'Bankroll Builder" tourney at 11am and 6pm the next three days, with Hold'em, Omaha, PLO, HORSE and even a Changeup offered.